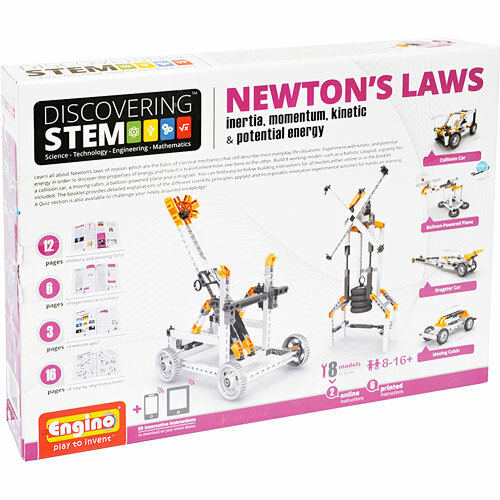 Newton's Law set is full of exciting, hands-on experiments that let kids learn all about Sir Isaac Newton's laws of motion and the effects of kinetic and potential energy, and how energy is transformed from one form to the other. Build 8 working models including a gravity fan, moving cabin, collision car, dragster, balloon powered plane, and ballistic catapult. Lots of detailed information provided in the cool, easy-to-follow, instruction booklet as well as on-line. 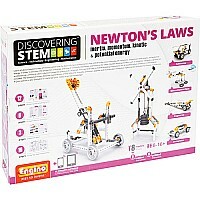 For ages 8-12 yrs, from Elenco Electronics.